The first memory I have of travel topics is a desire as a little girl to go to India. Maybe it was my far-out parents who had started an Ananda Marga center and an SRF connection in a makeshift hippy style, or the "DaDa's" who would stay with our family when visiting from India. Big giant men with the classically long beards, flowing orange robes, complete with matching turbans. They would come to teach meditation and yoga. And all I cared about was how cool it was that they slept on the floor without blankets! My grandmother has worked for Parmahansa Yogananadas organization off and on for 30 years and my mother worked there for 10. There's been a lifelong connection to Yogananda via family and friends and needless to say this may have influenced my curiosity about India. But the older I get and the more I travel, the more realistic I have become about traveling there. So I have been putting it off. Fearing that I need to follow my gut so that I "get" India. I have such a desire to fall in love with it- but know it's a complicated place. Alas this October we are launching ourselves into the heart of Rajasthan, India and I cannot wait for the experience. I've been doing extensive research and planning and these are just a few of the images that I am coming across along the trail. Wonderful, magical, gritty and old images that make my heart sing. I can only hope that I can digest it all amongst the heat and busyness and the chaos. There's just so much beauty! All of these images are of Jaipur, where we will be basing ourselves. And also where we will be attending Lotta Jasdotters retreat with Ace Camps on traditional block printing. If any of you have been to India and have packing or cultural tips please let me know. That has been such a fun and interesting part of the planning. What to wear!! LOL. I'm planning on arriving and jumping into traditional clothing from what I've read on travel forums. Who knows what crazy get ups I'll be running around in. Half the fun! More fish in the sea? I'm taking on the task this month to fill in the gap for Valentines Day greeting cards for our PAPAYA! lineup. Always a challenge for paper designers- Holidays! But luckily I'm having fun with it and finding animal inspiration for all sorts of wonderful sayings. So there will be fresh piles of new pieces this year, down the line, when it's wintery and love keeps us warm. I have had the pleasure of contributing to the book, "The Declaration of You" by Michelle Ward and Jessica Swift- launching this month. 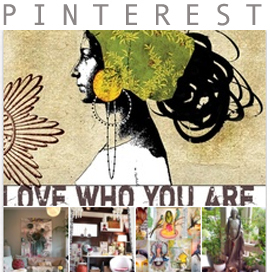 A powerfully positive duo who has compiled an inspiration resource full of affirming ideas and creative encouragement. One of the topics I was given was celebration. And I have been contemplating celebration in my life in terms of mile stones and victories. This is PAPAYA! 's 10th year anniversary and it also marks a major milestone in my life. The ways in which I have grown and changed to become a full time artist and creative entrepreneur have been all encompassing. This journey has been made up of questions that have been answered one at a time. And each answer has given our company a stronger footing and more freedom of expression. But we have been so busy it has only been lately that we have lifted our heads up to notice the view and see how far we have come as people and as a business. My family and I are working internally to reflect on the past ten years and see what our new goals and dreams may be from this new vantage point. It's a special moment on the trail. Having the luxury to contemplate "what's next" feels like an amazing thing. Honing in on the creative victories and those that I want to expand on. How I want to evolve as an artist, paint more, draw more, travel more, stress less...and what I want to learn. But for me lately despite all the big wins on the outer level the real accomplishments are the ones I'm pursuing on the inside. The unfinished goals, the undone parts of myself, the works-in-progress that will most likely be part of a life in flux. I'm working towards appreciating and ultimately learning to celebrate each small step towards self acceptance. Refining my relationships as best I can, paying close attention to self care, making new and meaningful goals for the future "wins." To me these little celebrations are happening on the inside. One day at a time. Being able to enjoy the process is worth every bit of celebration. I had the pleasure of attending PAPAYA! 's own, the talented and supernaturally beautiful, miss Sarah's, wedding this weekend to husband Joe Jackson. Sarah has been close to our hearts for many years and a key part of our PAPAYA! life. So it was a magical treat to be able to help volunteer as part of the set up crew for the big day! These beauties came from PAPAYA! chef and close friend of the bride, Margarets own garden and became the centerpieces and beauty sprinkled throughout the farm destination. This was the tendrills from the gorgeous mobile-chandelier handmade at Sarah's coastal bachelorette weekend. It lit up the pavilion in the sweetest way. Driftwood, feathers, dream catchers and handmade lace. There was so much beauty at this wedding. Everything was effortless and elegant at the same time. A magical balance achieved by osmosis from the bride and groom in a woodland, farm setting. A lovely crowd of people and even some new friends. The prettiest and warmest wedding I've ever attended. Congratulations to Sarah & Joe and thank you for a wonderful experience. I am excited to give a HUGE thank you to Rachell Dunn and Victoria Smith of sfgirlbybay.com. 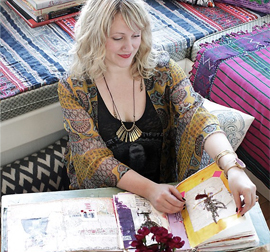 One of my all time favorite blogs with a fabulous emphasis on ecclectic, and inspiring interior design. 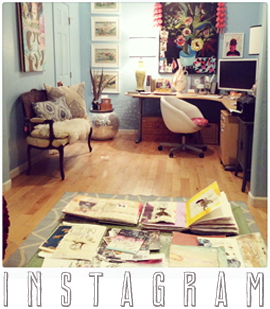 Sfgirlbybay was kind enough to share my home on the blog this week and I actually squeeled when I realized it was there! It's such a treat when people you truly admire give you a wave and a wink. Check out the pictures and post right here...xoxox. One of my personal favorite debut's this season is the introduction of our iphone cases! We have been working on this project for a very long time and are so excited to share the new babes with you very soon. They will be here in time for holidays. They come in iphone 4 and 5 in the same designs. And as always we had a chance to play a bit after our long days workin. Highlights included watermelon-chilli martinis, the Atlanta Aquarium and The Spice Market restaurant & Mali Thai in Virginia Highlands. And we even got to see this lovely inspiration-ista, L'Erin (Of Sisterfire.com) who has been a long time arts and internet friend via Artfest years back. A real treat to be sure and feels so good when you get to get offline with friends and into the real world together. 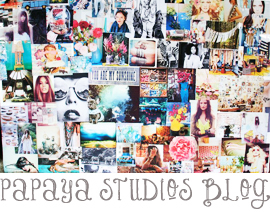 We've scouted the treasure and made a map of magic for PAPAYA! Living. But it feels so good to come home as always. Fueled by outter perspectives, it makes our sweet little town all the better. There's no place like home. 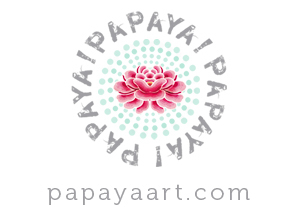 We've been whipping up some beautiful custom giclees at PAPAYA! studios. 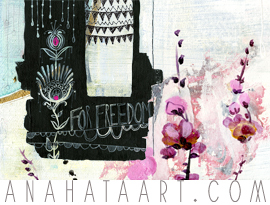 Some of the new artwork will be featured on our classic small, square giclee's this fall. But for those who want larger, limited edition pieces we have them in our PAPAYA! LIVING boutique and soon available for our wholesale customers. They are printed on canvas and mounted & framed. I am loving this idea for recycled globes! I still have an impulse to buy vintage globes when I see them but the need to pile them into my home has passed. So these ideas make them feel so fresh again!